Dressing for work in the summer is always tricky. There is a fine line between being comfortable and being appropriate. The start of the school year can be rough as many schools don't have air conditioning or they do but the units aren't reliable. On the other hand your room can be an icebox leaving you freezing until the sweet bell rings and you are free to exit into the sauna residing outside of the building. In my previous post (check it out here!) I talked about dressing for the job you have and NOT the job you want. As a teacher, you are constantly moving - up, down, bending over, reaching high...all with an audience. This means that your outfits need to be triple checked before leaving your house. Nothing - I mean nothing - can slip out, otherwise you will have more problems than Janet Jackson during the 2004 Superbowl. The best way to combat summer in the classroom is with dresses. Fit is key here. Anything form fitting is a no. Anything too short is a no. This might mean you have to size up once or twice and then find a local tailor to be your best friend. PSA: don't pay attention to the numbers on a clothing label...do yourself (and your students) a favor by grabbing that large instead of your usual small! Disclaimer: All schools have different dress codes regarding summer attire, so please use your handbook as a guide. All of the items above are easy to throw on and get moving. Each shoe is comfortable - a necessity, trust me. Most importantly the materials are easy to clean (#chickennuggetvomit). What rules does your workplace have for summer attire? If they have none, do you think some should be created? P.S. 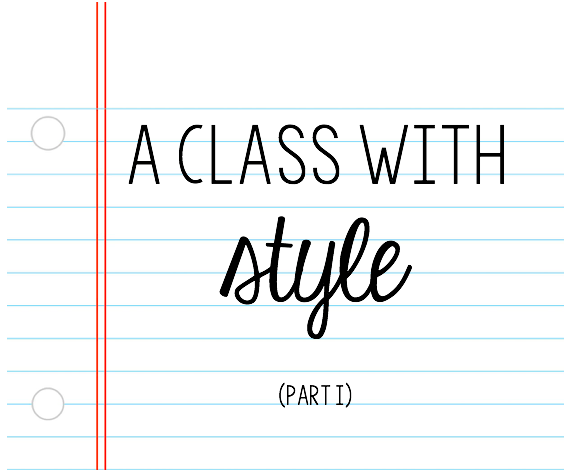 get ready for future installments of "class with style"...fall is just around the corner - pumpkin spice lattes and all. P.P.S. I hate pumpkin spice lattes.